Kathy Griffin reached out to her contacts for support on Thursday after resigning from E!’s “Fashion Police” via Twitter. A representative for Griffin didn’t immediately respond to TheWrap’s request for comment. 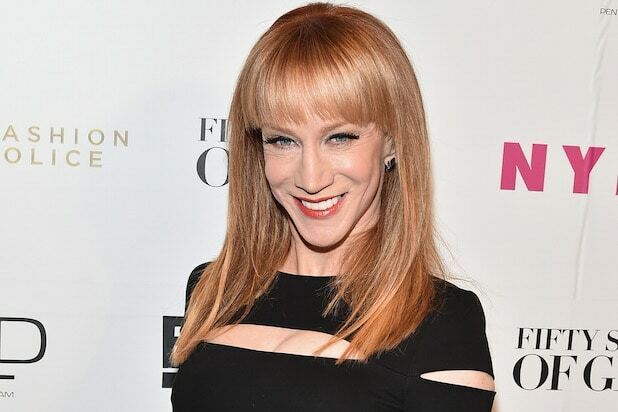 We can’t say for sure who among the email’s recipients decided to act on Griffin’s request, but recently departed “Fashion Police” co-host Kelly Osbourne, “Girls” star Lena Dunham, and Rosie O’Donnell were among the celebrities who did publicly support Griffin. The comedian leaves the show after just seven episodes and amid a controversy over comments made by co-host Giuliana Rancic about Zendaya’s dreadlocks that have been deemed racist by many. Griffin’s exit arrives just a few weeks after co-host Osbourne left the show in late February. She cited the desire to explore other opportunities, but made the decision after voicing her anger over Rancic’s comments. E! told press in a statement that the show will return with Rancic and stylist Brad Goreski on Monday, March 30 and had no further comment on replacing Griffin and Osbourne.